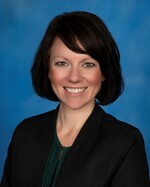 Sarah Welch joined the Keystone Oaks School District as the Coordinator of Communications & Public Relations in September 2014. Mrs. Welch previously served as the Outreach & Communications Coordinator for Local Government Academy, where she increased donations to the organization by forty percent. Prior to working in the non-profit sector, Mrs. Welch worked as the first full-time Communications Director for Moon Township, located near Pittsburgh International Airport. As the Coordinator of Communications & Public Relations, Mrs. Welch is responsible drafting, editing and designing all of the District's electronic and print publications. She also manages the District's website, various social media outlets and serves as the District's spokesperson. Mrs. Welch also works with various community organizations and is the District's liaison to alumni. Mrs. Welch has a bachelor's degree in journalism from Duquesne University and resides in South Fayette Township with her family. 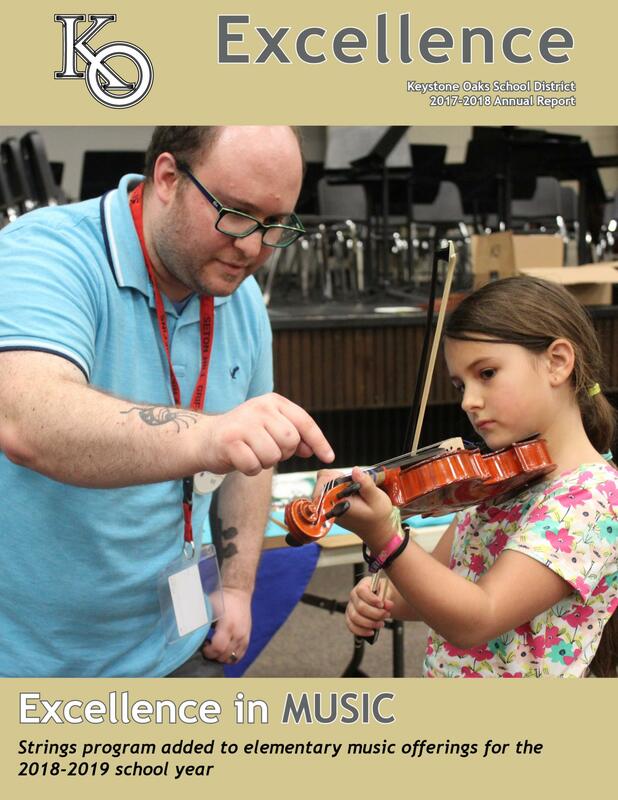 Keystone Oaks' 2017-18 Annual Report highlights the District's new elementary strings program, classroom redesigns, safety initiatives, the Keystone Oaks Foundation for Educational Excellence, and the academic, athletic, and artistic achievements of our students and staff. Facebook users can receive Keystone Oaks School District information in their News Feed by logging in to Facebook, searching “Keystone Oaks School,” and clicking “Like.” Information regarding district and community events, news articles, photos, videos and other information is posted daily. Join our nearly 2,000 Facebook followers! Keystone Oaks distributes news and information through Twitter. Follow @KOGoldenEagles on Twitter by visiting http://twitter.com/KOGoldenEagles. Followers can set up their preferences to receive tweets via text message. Follow Keystone Oaks on Instagram at keystone_oaks. Instagram is a free, photo-sharing program and social network that allows users to take a photo and share it with other users. Download the free app on your smartphone or tablet today. Keystone Oaks posts videos of various events and activities that occur throughout the school year.